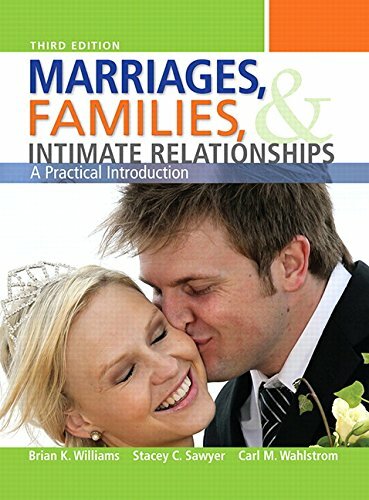 For courses in Marriage and Family Exploring How Society Impacts Our Personal Connections in the Modern World Marriages, Families, and Intimate Relationships explores the question: can we still find intimate relationships in our complex world? Through an examination of the influences imposed upon modern life - an unpredictable economy, globalization, computerization, the all-pervasive media, etc. - the text attempts to pass along lessons that help students make lasting personal connections. The Fourth Edition discusses fundamental concepts and insights across social science disciplines to answer the questions that greatly matter to students. Students are engaged by high-interest, extremely useful information that blends the authors' combined strengths: teaching, consulting, counseling, researching, and publishing. The text is based in research yet remains highly readable, exploring topics of great interest to students' personal lives such as intimacy, family, and personal happiness in the context of their distracted, visually oriented world. 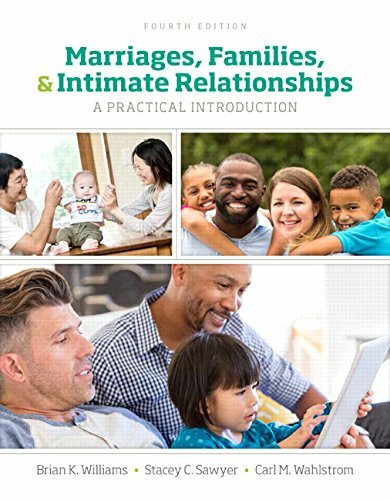 Marriages, Families, and Intimate Relationships: A Practical Introduction, Fourth Edition is also available via REVEL (TM), an interactive learning environment that enables students to read, practice, and study in one continuous experience. BRIAN K. WILLIAMS is married to Stacey Sawyer, and they live near Lake Tahoe, Nevada, and share an avid interest in seeing college students become well educated. Over the past two decades, they have individually or together authored more than 26 books (over 7060, counting revisions) in such subjects as health, college success, information technology, management, and business. Brian, for instance, has coauthored three introductory textbooks in health; several books in computing; and, with Carl Wahlstrom, six books in college success. He has been Managing Editor for college textbook publisher Harper & Row/Canfield Press in San Francisco; Editor in Chief for trade book publisher J. P. Tarcher in Los Angeles; Publications & Communications Manager for the University of California, Systemwide Administration, in Berkeley; and an independent writer and book producer based in the San Francisco and Lake Tahoe areas. He has a B.A. in English and an M.A. in Communication from Stanford University. STACEY C. SAWYER, formerly Director of Founder's Clinic, a women's reproductive health and family planning clinic in Columbus, Ohio, is an independent writer and book producer who has been based in the San Francisco and Lake Tahoe areas. She has taught at Ohio State University and been a manager for Brooks/Cole Publishing Company in Monterey, California. She has a B.A. from Ohio Wesleyan and the University of Freiburg, Germany, and an M.A. from Middlebury College and the University of Mainz, Germany. Stacey is coauthor of Computers, Communications, & Information, a college textbook in print for 15 years. She and husband Brian Williams also cowrote Using Information Technology, now in its eleventh edition, and Business: A Practical Introduction, just published in its first edition. CARL M. WAHLSTROM is an Emeritus Professor of Intermediate Studies and Sociology who taught full-time for 37 years at Genesee Community College, Batavia, New York. Carl retired from full-time teaching in 2012, but continued as an adjunct faculty at Genesee Community College until May 2015. In addition, he was a visiting lecturer at SUNY Geneseo from 1995-2015. Over the course of his career, he taught courses in marriage and the family, human development, learning strategies, sociology, psychology, human relations, and college success. In 2007, he was designated a State University of New York Distinguished Service Professor (the highest recognition SUNY can bestow on its faculty). He has also been the recipient of the SUNY Chancellor's Award for Excellence in Teaching, the Chancellor's Award for Excellence in Scholarship and Creativity, the National Freshman Advocate Award, and several other teaching honors. Carl has a B.S. in Sociology and an M.S. Ed. in Counselor Education from SUNY Brockport and an M.A. in Sociology from the University of Bridgeport. He is an active presenter and educational consultant. With Brian Williams he is coauthor of Learning Success, The Practical Student, The Urban Student, The Commuter Student, The Successful Distance Learning Student, and College to Career. He lives with his wife, Nancy, an employee benefits consultant, in the Finger Lakes area of New York.